At Hull Nissan we believe the car purchase is only the start of our relationship with you. Caring for you and your car is not just a job for us, it is a passion. 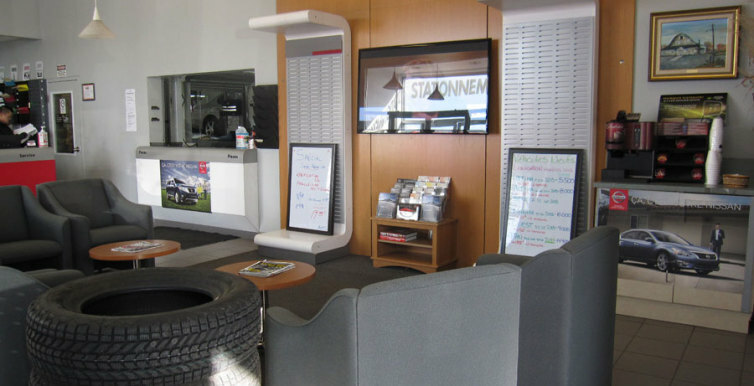 Our staff are trained to the highest standards to ensure that we provide you with the best Nissan after-sales service experience in the Ottawa-Gatineau Area. All our customers are offered a free 2-way shuttle service to go anywhere in the city. Take advantage of our exclusive coupon booklet and take advantage of its the benefits!